Made with all natural ingredients, Chefmaster food color blends create amazing colors in food without adding harmful chemicals. 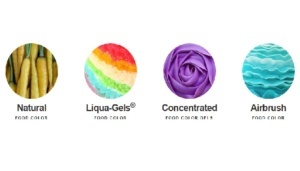 With your free Chefmaster food coloring samples you can have fun with custom colors and try many new recipes. Simply fill in the small form, choose your color and select which type of product you want to try to request your free sample.